As we make our way through spring towards the dog days of summer, we’ve already enjoyed some warm, relaxing days getting reacquainted with the outdoors right in our own backyard. If you’re anything like we are, you’ve been spending these days taking stock of what sorts of manageable, DIY undertakings you’d like to tackle before we get too far into the heat of July and August. There are plenty of great additions you could make to your yard, but one of the first projects many homeowners tackle will add both style and utility to your outdoor space. This addition? 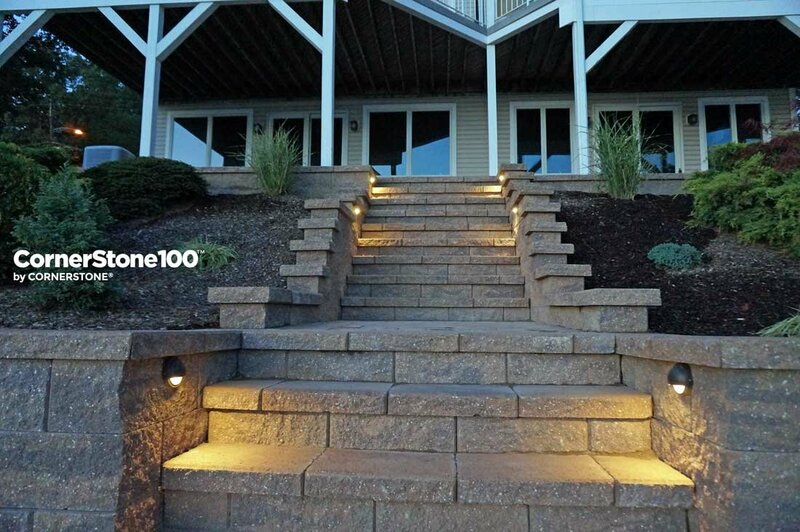 Landscape stairs. 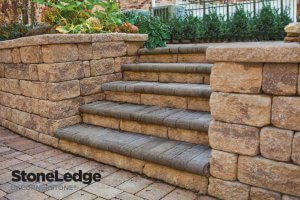 Below are a few tips and reasons why you should consider landscape stairs. Unlocking additional yard space. Chances are, your yard is bigger than you think it is. 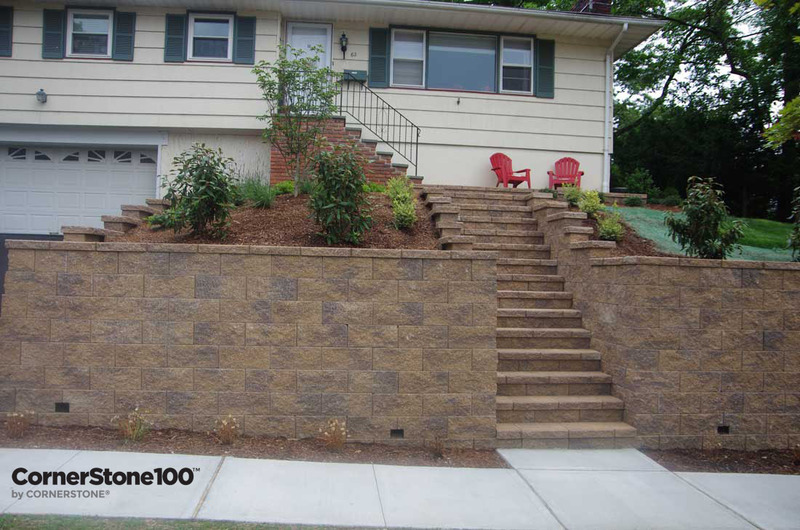 So much yard space is often written off due to slopes and grades in the land. 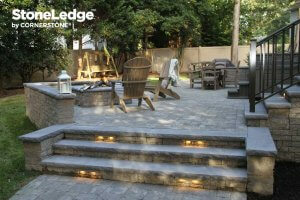 Landscape stairs are often just what’s needed to start making full use of your yard. Simple installation. 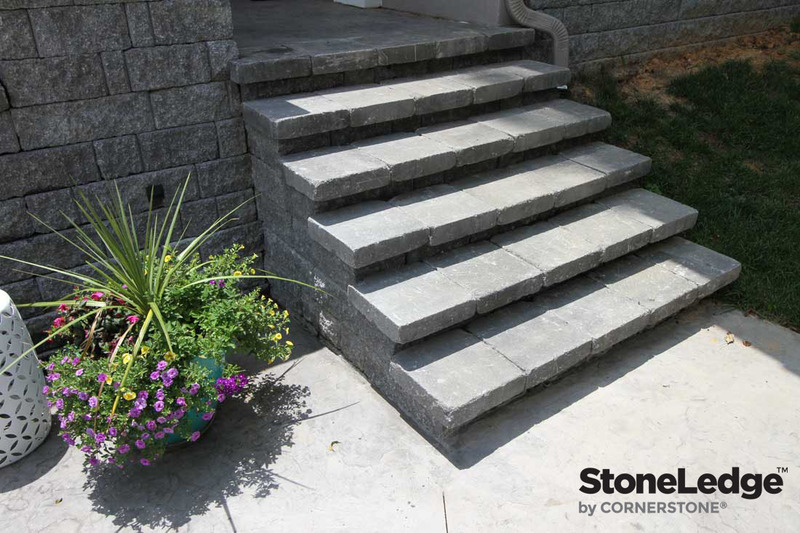 On top of creating more yard access, landscape stairs make for a great weekend DIY project. Just take a look at our installation guides and see for yourself how easy retaining wall blocks are to work with! 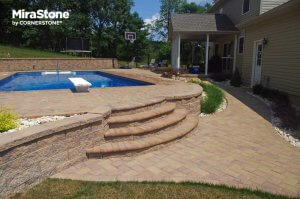 If you’d rather spend your weekends enjoying the warm weather or you’re just not a DIY person, consider working with a contractor to help with the design process, color selections, and installation. The best solution. 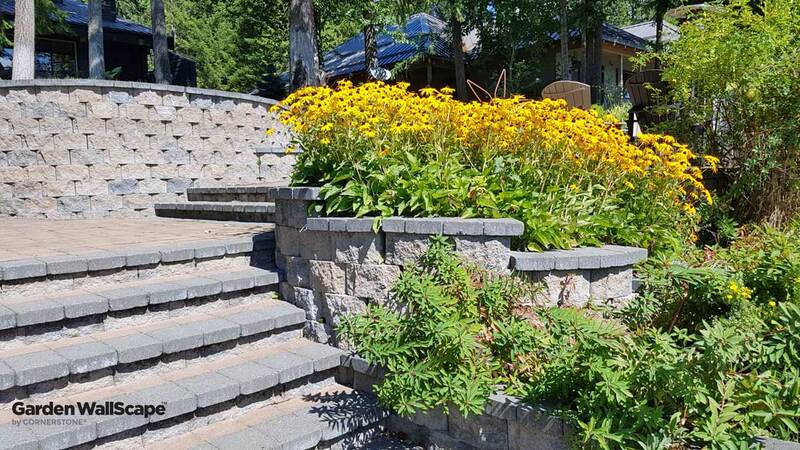 There are other ways to install stairs in your yard, but CornerStone landscape stairs offer the most aesthetically pleasing alternative to get the results you’re after. Precast stairs look plain, require excessive labour to install, and generally only come in set styles. Wooden stairs are simple and inexpensive, but require constant maintenance and don’t stand up to the elements. Landscape stairs built with CornerStone retaining blocks are essentially big Lego blocks – they’re easy to install, long-lasting, and can even be fitted with lighting to fulfill your creative whims! Underground lines. Nothing puts a damper on a DIY project quite like striking an underground water main. Before you start any landscaping work, be sure all utility lines are marked and accounted for. Do you need a handrail? Depending on the height of your staircase, you may need to consider including a handrail in your project plans. Check with your city or local municipality – they’ll have all the details on what the building codes call for in your area. Don’t forget about water. 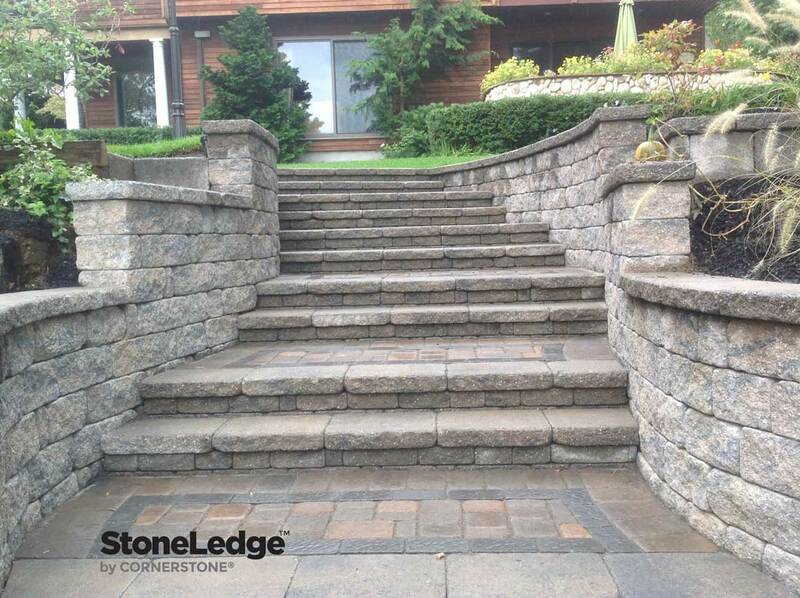 Ensure that you’ve accounted for water runoff and drainage in your plans, otherwise you could end up with constant puddling on your new stairs that will dramatically decrease their longevity. Be creative! 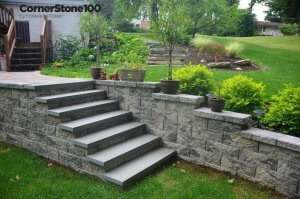 Landscape stairs afford you the ability to express your artistic, creative side. Experiment with different designs, consider long and sweeping curves, and just have some fun with it! 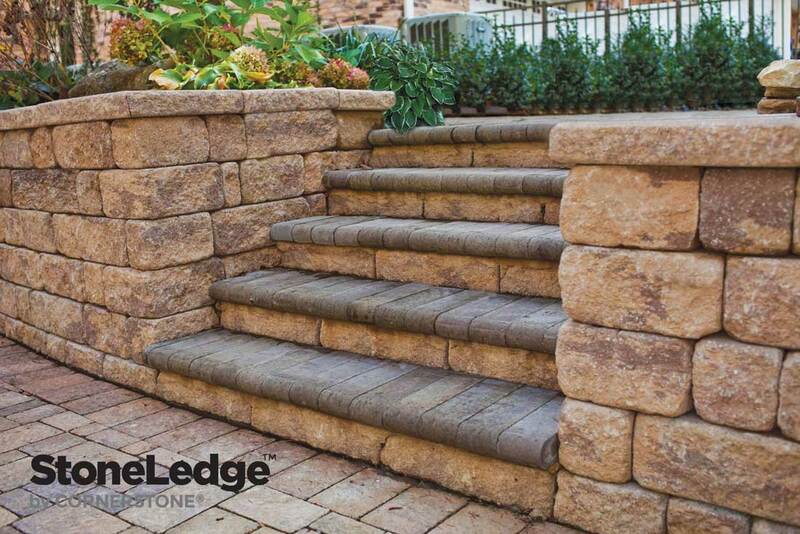 Landscape stairs offer an easy-to-install, aesthetically pleasing solution to help you make the most of your outdoor space. 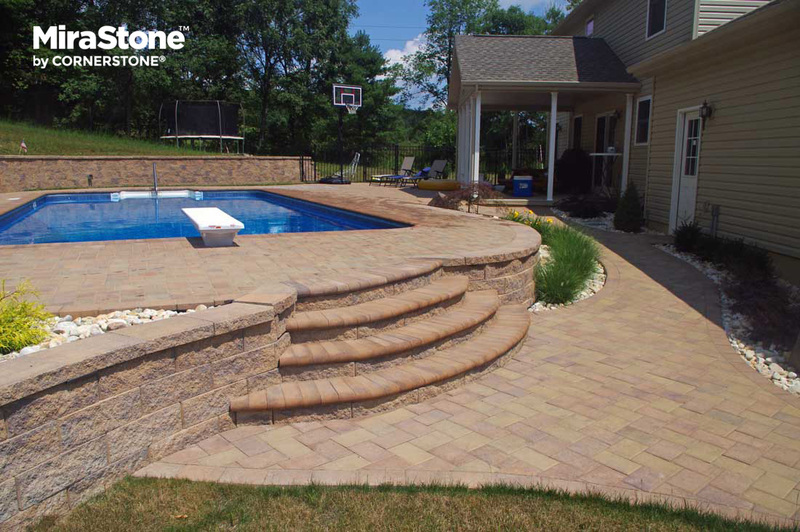 If this sounds like a project you’re taking on this summer, get in touch with one of our re-sellers or manufacturing partners, and start making your backyard beautiful today!